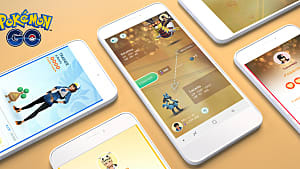 In a game consisting of 248 catchable Pokemon, it's not a surprise that Pokemon GO players are still looking for particular Pokemon to fill up their Pokedex. As many know, some Pokemon are rarer than others but just because one is common doesn't necessarily mean that it appears everywhere all the time. Sneasel is one such Pokemon. 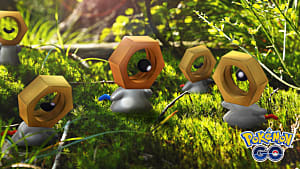 I'm a reasonably heavy Pokemon GO player but, as you can see from my screenshot above, I have only seen this seemingly common Pokemon three times. Naturally, looking forward, I wouldn't mind catching a few more so that when the game eventually gets around to Gen 4, I will be able to evolve it into Weavile. I'm sure I'm not the only one who feels this way, either. 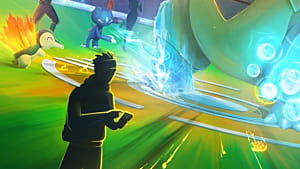 So how can we increase our chances of seeing and catching more? 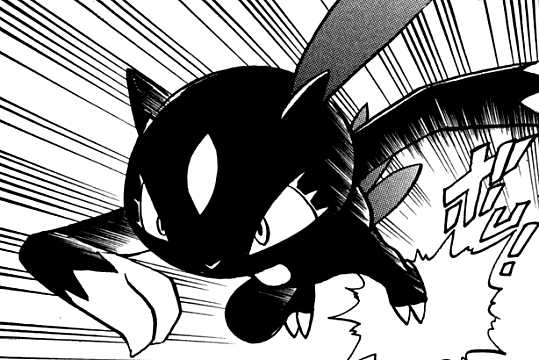 Firstly, what you need to remember is that Sneasel is both a Dark and Ice Pokemon, which means that it can spawn in two different locations. Being partly an Ice Pokemon, it can spawn anywhere that has a body of water. But it can also spawn in snowy areas -- and sometimes in open grassy areas. There isn't much information about Dark Pokemon spawn points, but there have been suggestions that they can be caught in built up areas and mostly at night. This would fit with my experience, as I caught two of three of my Sneasels in a commercial center. 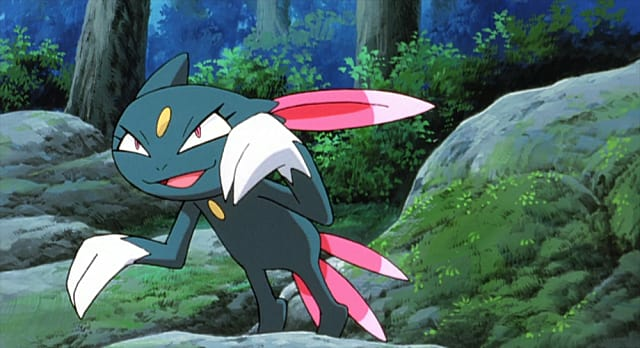 Since this is a beginning evolution, Sneasel can also be found in eggs. 5km eggs, in fact. 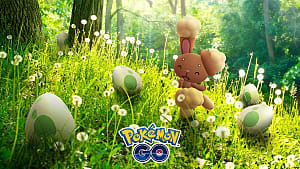 So if you don't have much luck with possible spawn locations, then make sure you hatch as many 5km eggs as possible. 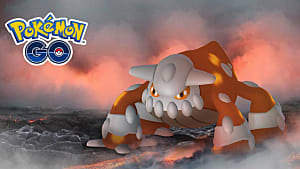 Since the addition of Gen 2 Pokemon, there have been a number of events that increase the chance of seeing a certain type of Pokemon. 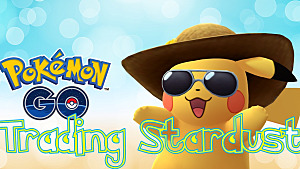 At the time of writing this, we have already seen events involving water, grass, rock, and fossil Pokemon, as well as a pink-colored event for Valentines Day. 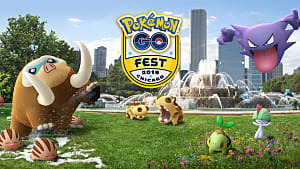 Could we soon be seeing an Ice-type Pokemon GO event? 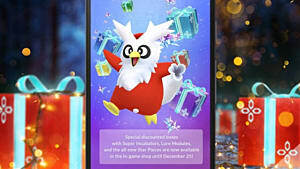 If this does happen, you should see a decided increase in Sneasel sightings, as well as other Ice-types such as Jynx, Smoochum, Delibird, and the mighty but gentle Lapras. 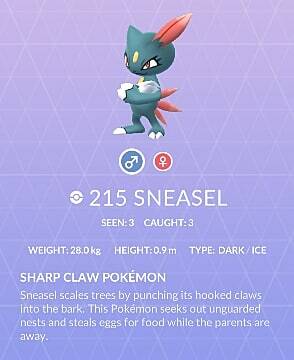 Hopefully, this mini guide will have given you the information you wanted to go out and hunt for Sneasel. 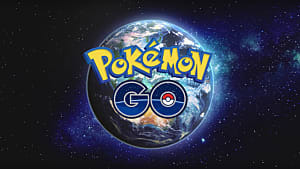 Make sure you check back to GameSkinny for all Pokemon GO news and guides!